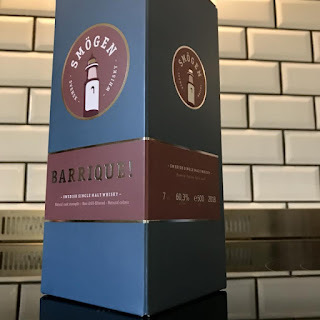 The Highfern Blog: Just landed: Smögen Barrique! At 7 Years Old, Smögen Barrique is the oldest Smögen Svensk Single Malt Whisky release to date. Distilled from heavily peated Optic barley in 2010 and matured in four 225 litre French Oak barriques, which have given 1685 500ml bottles at 60.3% Vol. Described by distiller/proprietor Pär Caldenby as ’This is a Big whisky. From the intensity of our malty and peaty distillate, to a full-on cask influence from four classical barriques that previously held a Bordeaux red wine, with toasted oak, ground coffee, dark cocoa, mulled berries and apricots. Not for the faint hearted - just as should be!’. For some reviews please see Samuel Whisky, The Ladies Share and Whisky Saga. 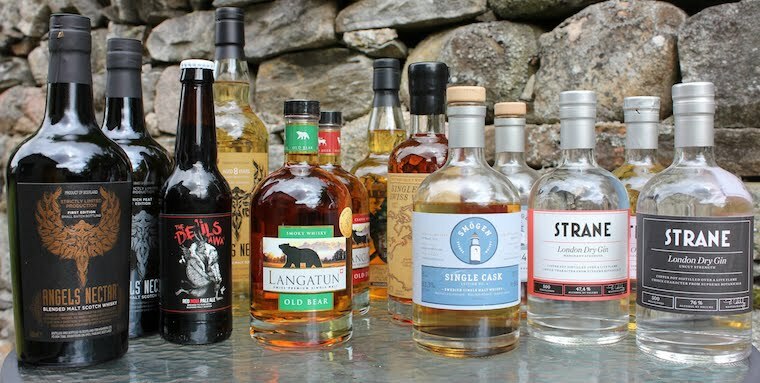 Initially released in Sweden on the 1st of March it will soon be available from Hedonism Wines, Master of Malt, Nickolls & Perks, Shop4Whisky and The Whisky Exchange.